As hundreds of crowdfunding campaigns on UK platform PledgeMusic are put on hold for the time being, artists are trying to do the right by their support communities. Others, like Australian singer-songwriter Mick Thomas, transferred their campaigns to their own website. “I’ve built up trust and confidence over the last thirty years, and it’s something that I am determined to protect,” Thomas says. He admits he is relatively lucky with PledgeMusic when compared to artists whose campaigns were larger and longer, and covered the entire cycle of an album release. As TMN has reported, US electro-industrial band ohGr has felt the heat for the last nine months from those who bought $140,000 worth of items to fund their fifth album TrickS and are wondering why they haven’t received these by the promised date. 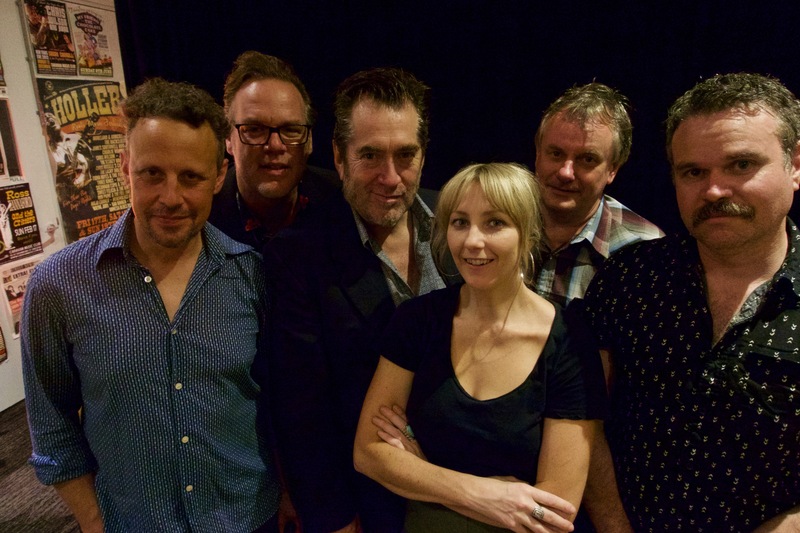 Thomas has been going down the DIY route, from Weddings Parties Anything to his current band Mick Thomas & The Roving Commission, and adept at sourcing funds. These have included playing house parties, doing one-to-one songwriting workshops and recording for fans covers of their favourite songs. This way, The Roving Commission had built up a war-chest to record their new album Coldwater DFU last year in Memphis. It was Thomas’ first sessions in Memphis in 20 years since the Weddings’ The Big Don’t Argue. He says something about that city’s spirit caused the new record, due March 8, to be as strong as that earlier landmark release. The PledgeMusic campaign launched in January was his first with that platform. It was only for $20,000 to provide extra aid for some of the album’s marketing and tour, and quickly reached its target. Thomas was lucky that associates in the UK tipped him off that PledgeMusic was freezing all campaigns last Friday. He got word to his crowdfunding community in time to shift to his own website. Most switched over in the first 24 hours and continue to order fresh items. These include musical instruments (like a mandolin played on the new album), handwritten lyric sheets & setlists, a collection of B-sides and rarities, original artwork, tour postcards, vinyl bundles and a talking book version of his autobiographical release entitled These Are the Words. 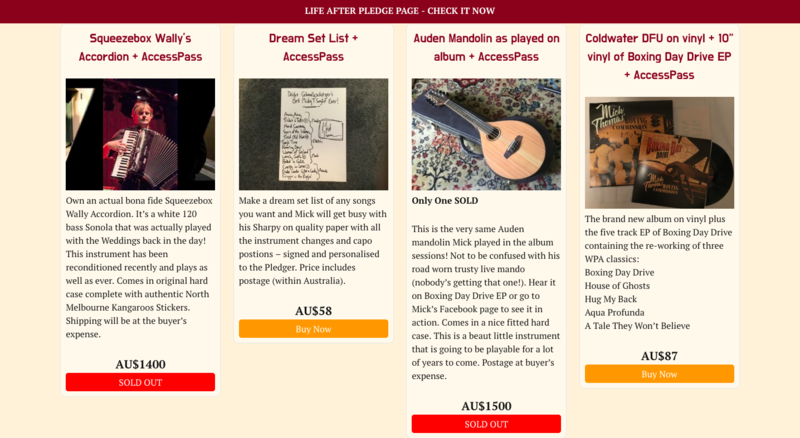 As TMN has reported, PledgeMusic has put strategies in place to get funds flowing by April. Whether it manages that, and whether its tarnished brand can renew consumer trust, are being debated globally. PledgeMusic claims over $100 million in artist payments distributed among 50,000 projects since its 2009 launch. Similar platforms as Kickstarter and Indiegogo are not facing the same issues. But a former PledgeMusic employee alleged to Billboard on condition of anonymity that the company doesn’t hold funds for artists, as stated on its website, but uses the money for ongoing operations and invests it in growing the company. Hence part of the current global discussion is if crowd-funding platforms should be regulated even though they’ve been effective so far. Mick Thomas says of PledgeMusic’s delays for other artists are a real issue. “Cash flow is an endemic problem in the music industry. “When you go out on the road, in the first week you have a couple of big cash gigs. He says this issue is a good time for the music industry to have a conversation about the services offered on the internet and the validity of some business models. “Paradoxically what I thought PledgeMusic was offering was legitimacy, of legitimising the process of paying up front. “But the lie of the whole thing is when they use terms like ’community platform’. “I reckon what they’re trying to do is to create this myth that the pledge becomes a marketplace. That’s ridiculous. “People don’t go into PledgeMusic to see if there’s an item they may want, or they go in to get the new Dandy Warhol album and decide to get the new Mick Thomas album as well. Ultimately he says, “Basically you’re making music and selling it, it’s as simple as that. “The people who buy my music aren’t interested in all this other stuff.